Great memorial product or religious home decor piece that can be customized with any graphic, photos, and text to make it a truly one-of-a-kind item. Made from durable hardwood product and measures approximately 8" tall and 1/8" thick. 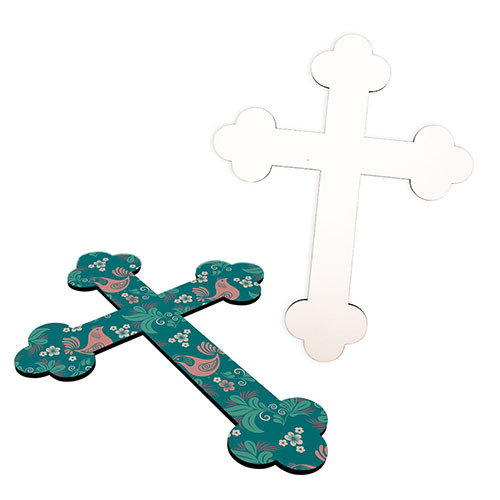 Single-side printable cross features a dark stain hardwood backing and comes complete with acrylic base holder for immediate display.